Unlike my nephew's low key birthday, this one was an all-out bash. I had a lot of models, too! The two boys were brothers, and I think it was the younger one's first full face. So cute! The second mouse I've ever done! And my first elephant in ages. I love doing lop-eared bunnies. The party was December 19, and I've slacked on posting about it. My sis decided to do it low key. Pretty much just family, in the house, with a Where the Wild Things Are theme. It was a really great theme. We did a cake. 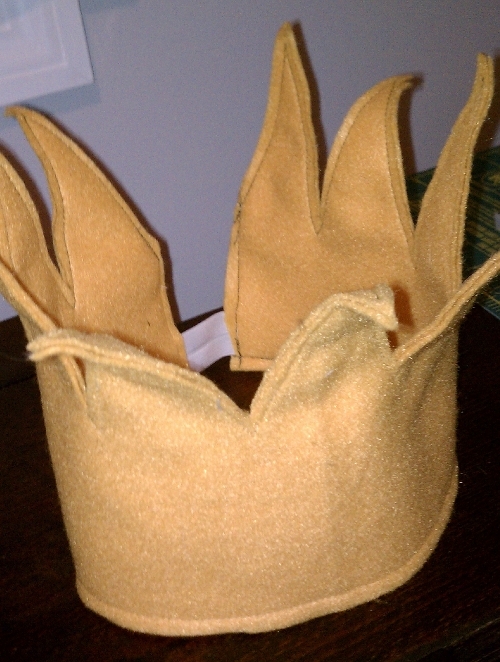 And I made him a crown like Max's as his birthday hat. And I got to face paint the cousins, though it was non-thematic painting.